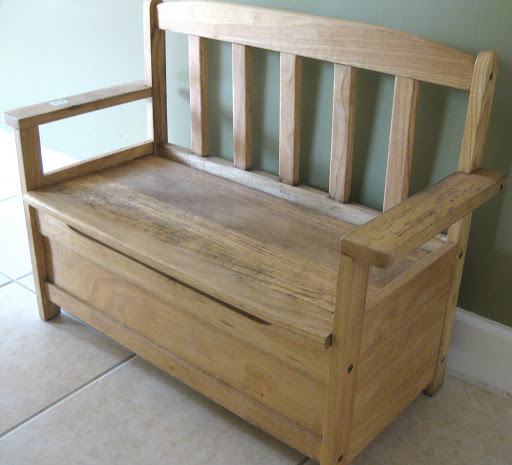 You know how I love a good makeover (I am officially addicted) and I just worked on yet another one – this time it was a child’s bench that has toy storage underneath. I picked up it up at Goodwill for $6.97 and thought it was just too cute to pass up! Although it took several buckets of water to clean it – it was utterly filthy! I think it must have been setting in someone’s barn for a while! After I cleaned it, I brushed on B-I-N Primer (that stuff is the best at covering up all sorts of grossness! 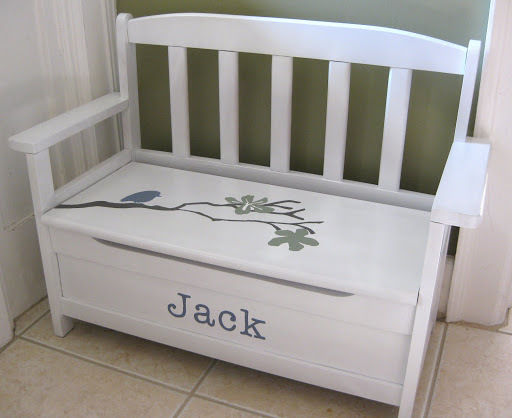 ), then I spray painted it with about 3-4 coats of a white satin paint. 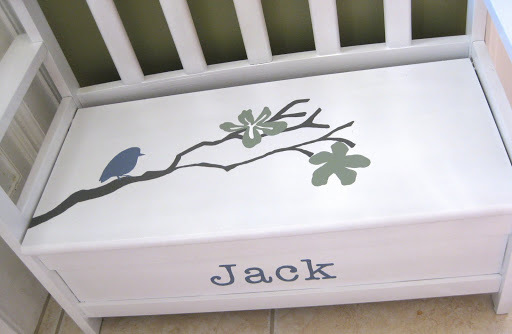 I drew on the branch/bird design, then painted it with an acrylic craft paint. 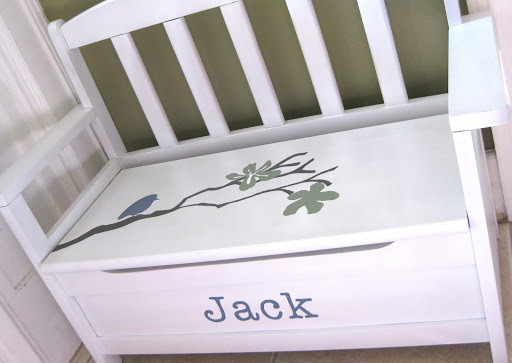 I traced on the lettering and painted that with craft paint too. 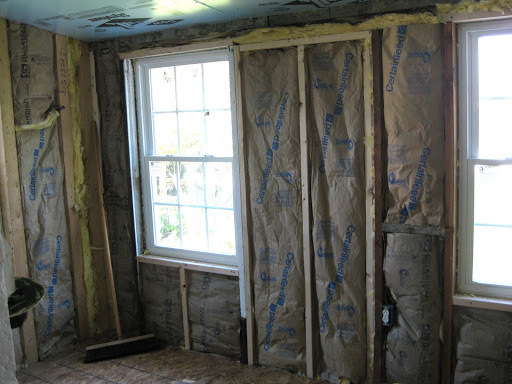 Insulation has all been installed, so now the next step is drywalling. I am dying to get my grubby little decorating hands on it once it is complete!! Yay!